featuring more than 200 parts. Low Alloy Steels to more exotic Nickel Based Alloys. quality. Click here to tour our plant online. D&S Manufacturing is an ISO 9001:2015 certified manufacturer of exceptional quality, medium to large scale components, assemblies, and complete weldments. We work with metals such as carbon steel plate, aluminum, and stainless steel that range in thickness from 3/16” up to 6”. 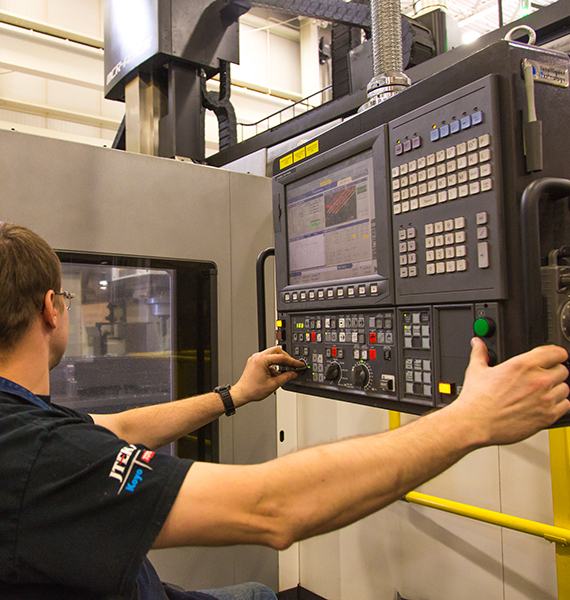 We offer turnkey manufacturing solutions with a focus on continual improvement. We regularly upgrade our equipment to increase capabilities and accelerate project turnaround. 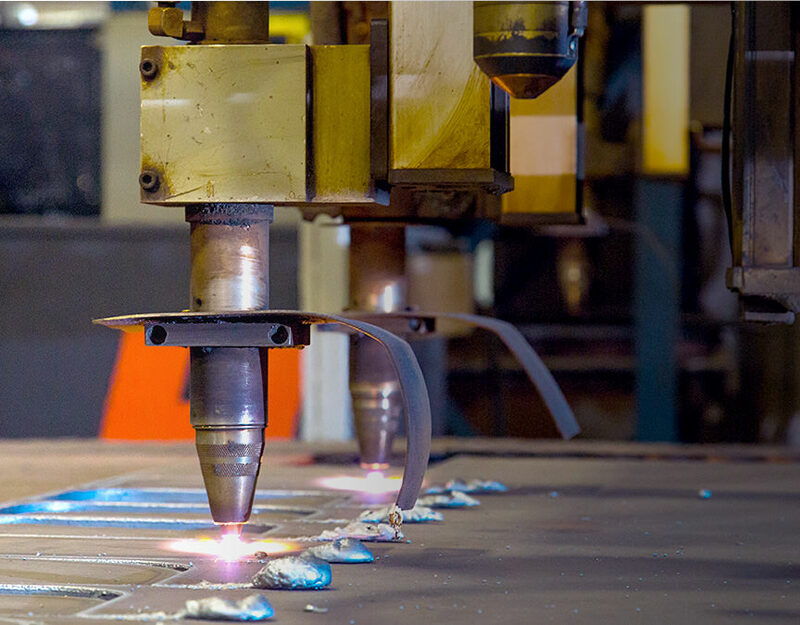 Our capabilities include high definition plasma, laser, and oxy fuel cutting, forming, vertical and horizontal CNC machining, and manual and robotic welding. We also offer liquid spray painting, powder coating, and shot blasting. Additionally, we complete turnkey assembly services, including adding mechanical, hydraulic, electrical, and control fittings to your custom metal fabrication and shipping them to the final customer. Our dedicated employee owners are driven by an exceptional work ethic that empowers them to maintain business relationships based on honesty, respect, teamwork, and continuous improvement. An employee owned workplace that is guided by a culture that supports personal and professional development. We value and reward innovation, determination and teamwork and we offer great career opportunities in technical areas such as welding, machining and engineering. We also provide challenging opportunities in the areas of production supervision, customer service and administration.